President Bush holds the badge of a police officer killed in the September attacks. "And I will carry this," said President Bush during his address to Congress Sept. 20. 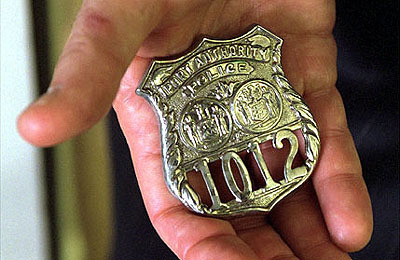 "It is the police shield of a man named George Howard, who died at the World Trade Center trying to save others... It is a reminder of lives that ended, and a task that does not end."